I’m originally from Brazil but have been living in London for the last 12 years. 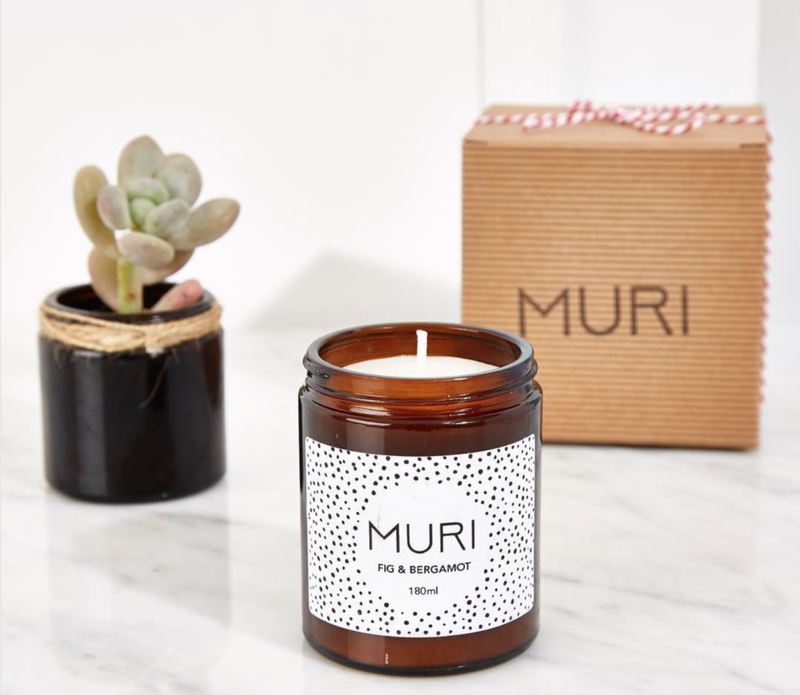 I have a full time job and started with MURI (officially) last autumn as I was looking for something to dedicate myself to. I was also trying to get over a broken heart and found candle making and selling was a huge therapy and helped massively in rebuilding my confidence. I started on Etsy after doing a couple of local markets and getting a lot of positive feedback. I love the platform but struggle as candles is such a saturated market. To combat this (and also because it is so much fun!) I also sell dinosaur inspired home decor such as dinosaur succulent planters in the summer and dino Christmas tree decor in the winter. It’s amazing how popular they are and also how much they help get my brand seen to home decor enthusiasts. All my candles and dinosaurs are handmade at my home in Bow. I work really hard to find the best suppliers, from UK to America to ensure I can offer the best products at the lowest prices. I hand pour every candle and count on my workmates at my day job for help - they are my best clients, my support group and also a wonderful focus group - they’re also very honest which really helps! With the dinosaurs, I often have to boil them to make a whole for the plants or the hook pin for Xmas tree ornaments. Anyone seeing me boil a plastic dinosaur must think I’m mad! I then hand paint and spray them and then decorate. I love making things and still get surprised and so chuffed when people love their products. For me, having my own business is very much about the journey as opposed to the end goal. It’s the putting yourself out there, failing, succeeding and learning new things every day. I love making and LOVE doing markets. Meeting clients, getting their feedback and ideas for new scents or packaging, meeting fellow traders and exchanging tips and ideas is magical for me and truly rewarding. I joined to have a source of support, a chance to network and as a vehicle for learning. I love the opportunity of meeting new people and finding out about opportunities and collaborations. I also love the markers the group throws and look forward to being a part of more. I wish I had more time to make it to all The meet ups, they are so great and so helpful!